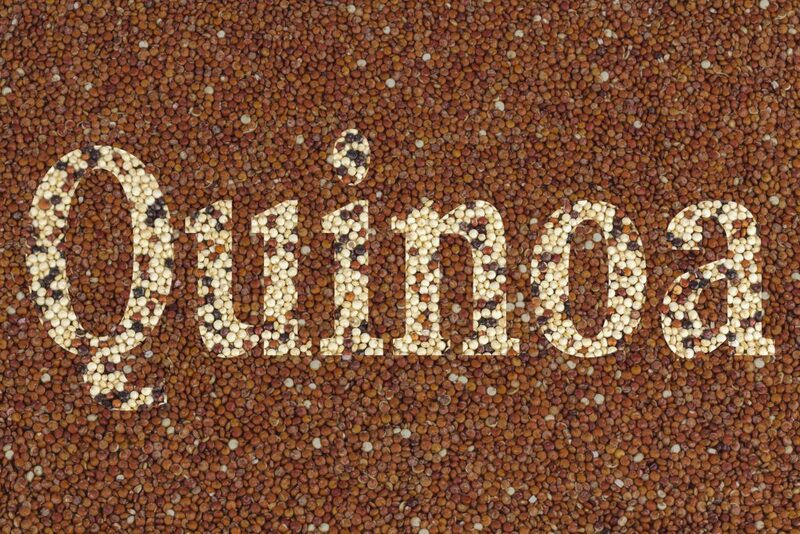 Quinoa is a lightly flavored grain that was a common in the ancient Inca’s diet. Most relevant, it is super food with many health benefits that is available at most natural food stores. Also, it is a complete protein containing all nine essential amino acids, as well as small amounts of omega-3-fatty-acids, in addition is gluten free. Best of all, it has a nutty flavor and can be served as a side dish or as the base of a main course. This recipe for perfectly fluffy quinoa is quick and easy! Use as a simple and health side dish, in a salad or as the base for more delicious and nutritious main courses. Quinoa is easy and quick to cook. All you need is one cup of quinoa and 2 cups of liquid. Bring the liquid to a boil and stir in the grains, turning down the heat to low. Then, cover and simmer until the liquid is absorbed, approximately 12 minutes. Finally, turn off the heat and let it rest for 3 minutes. One cup of dry quinoa yields about three cups of cooked, which is nearly six servings. Get the full recipe here. 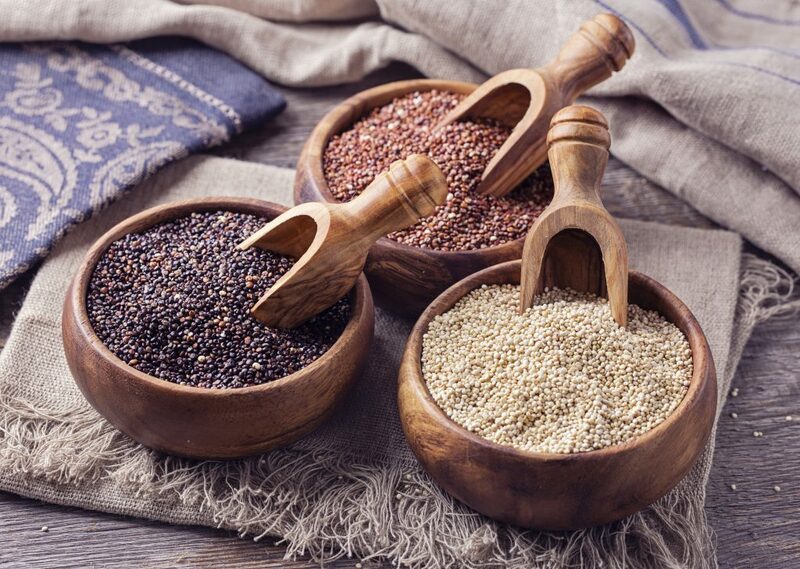 There are over a hundred varieties of quinoa, but the most commonly available in stores are white, red and black. The white variety is the most commercialized and it has the lightest taste and texture. 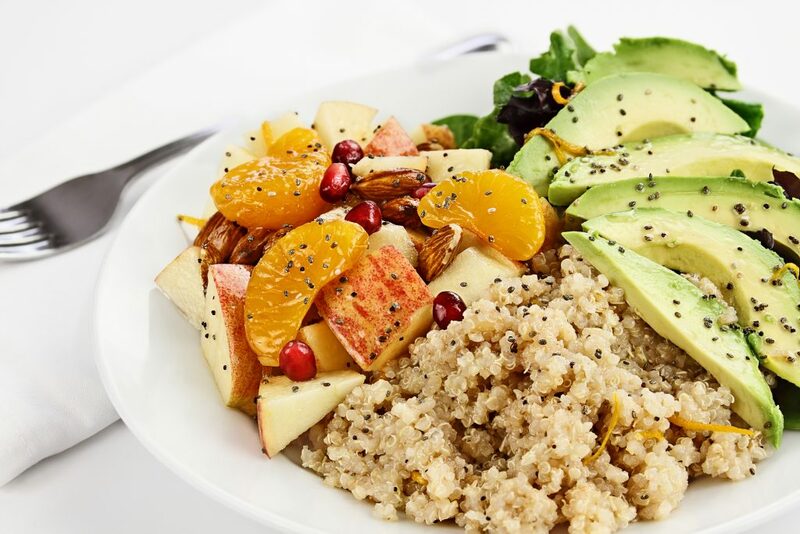 In addition, red quinoa has a richer taste and it is less fluffy with a tougher texture which makes it great for salads as it holds its shape better than white quinoa after cooking. However, the taste of red and black grains is nuttier compared to the white. Try using these tips to make the best recipe! Try lightly toasting the grain before cooking enhances the flavor. Toast quinoa in a large dry skillet over medium heat, stirring often, until it crackles and becomes aromatic, 3 to 5 minutes. Then, transfer to a fine sieve and rinse thoroughly. Saponin is a protective coating the covers the grain. Saponin has a bitter taste so try rinsing out the grains under running cold water before getting started. A fine mesh sieve works well. Be sure to shake off the excess water before starting the recipe. Rinsing removes any residue of saponin. Use different types of broths instead of water to add flavor and change things up. All you need to remember is to keep the 2:1 ratio unchanged. You could use chicken broth, vegetable broth or white dry wine to mix things up. Quinoa cooks fast. When the grains have absorbed the fluid, they swell and pop open, revealing the germ of the kernel. Set the timer so you don’t overcook or burn. We prefer to turn the heat off after twelve minutes and let is rest without opening the lid to finish cooking and absorbing the remainder of the fluid. When the grains are cooked use a fork to fluff. Using a fork prevents the grains from lumping. You can add lime juice and salt; mix gently and fluff with a fork.